Distant healing is carried out in a huge number of ways in different lineages. There is endless variety. Some methods are more complex than others, and some approaches are more dogmatic than others. Some students are taught that if they do not carry out distant healing in a particular way then it will not work for them. This is unhelpful and Reiki is certainly not constrained by the details of man-made rituals. So what do we need for distant healing to succeed? What does distant healing boil down to? *Even using HSZSN is actually optional, as you will have seen if you read my earlier “How to send Distant Healing” blogs. This lack of certainty can be rather disconcerting for some people, and liberating for others, so you can choose your method according to your taste. If you prefer simplicity, boil your approach down to barest essentials, or if you like a ‘big event’ then make your ritual more detailed, more ‘High Church’. So long as you know where you want the energy to go, and use HSZSN in some way if you want to, then the energy will get there. Remember that no one way is better than any other. Some people feel more comfortable with a more detailed ritual, others are content to set a definite intent, use HSZSN to make the connection in some way, maybe, and they then blank their minds to allow the energy to flow, and visualise no longer. 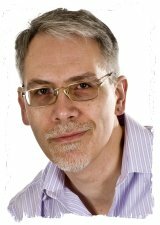 Is the way that you now practise Reiki distant healing different from how you were first taught? How does what you do now differ? What method do you find most comfortable for you? Please share below by posting a message. 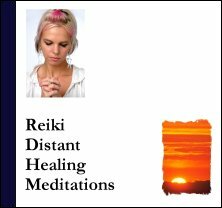 If you’d like some help with your distant healing, why not download my collection of Reiki distant healing meditations on MP3. They are suitable for all Reiki levels. Very interesting Taggart. I totally agree with you. It is best to do distant healing in your own way. It is a very informal article. Again I like the simple approach but wonder if you have any thoughts/guidance on time. I have been lead to believe that 15 minutes DH is equivalent to a normal hour of treatment.I read of one American Reiki Master who simply visualises sending light and the symbols which only takes a few minutes. 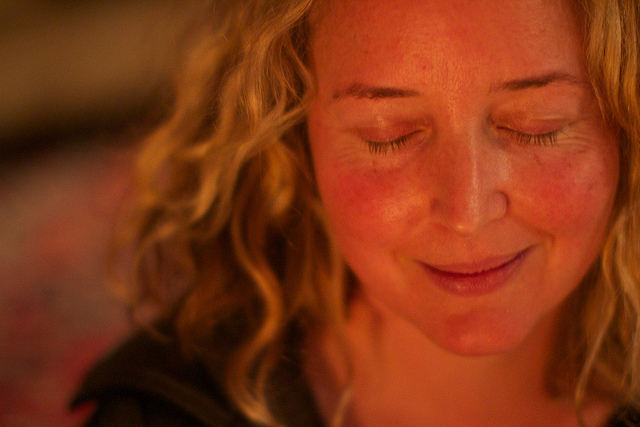 There is the danger that we start to confuse DH with meditation when we devote more than a few minutes. Hi John, I don’t really know whether it’s possible to equate the power or effectiveness of distant healing with that of ‘live’ treatments by some sort of an easy formula like 15m = 1hr, you know. How would you meausre such a thing? I think that many people would probably spent 5-10 minutes sending DH and that you won’t necessarily obtain greater benefits by sending for 30 minutes or an hour. IMO it’s more a case of setting a definite intent in terms of where you want the energy to go, and then just letting the energy get on with it, being received for however long it needs to be received for. In relation to distant healing, I tend to agree with you Taggart, the amount of time one spends on sending Distant Healing is not improtant, it is the intent that matters. I send my Distant Healing every Monday after my Reju Empowerment from you. I spend 10 minutes, which includeds going though the names in my Reiki Book, and using the Distant Healing symbol, this works for me and I’m happy to say I have had a lot of very postitive feedback from people with whoom I send my healing to. I don’t feel that the time is improtant, its the intent and what the practiotioner feels comfortable with. I agree with Taggart time is not relevant. I ve been doing distant healing for many years and find that I m guided by the heat in my hands. I also know that yes intent is important but Reiki will give what the recipient needs regardless of my intent and the universe has no concept of time so minutes can be all that is needed for the recipient to receive what they need. I m always Amazed because I don’t need to know what is needed I m just the vehicle for that transmission and am always humbled by its power and unconditional love. When I first learned distant healing in Level 2, it was very involved. I continued with this method until I completed Level 3 – Master Practitioner with my Reiki Master in Australia. When this method didn’t change with Level 3, I felt let down as I had thought that the Level 2 method was to helps us learn the different energies of the symbols and to learn the feel of differing distant treatments. I had thought that Level 3 would condense and simplify the methods of distant healing. When it didn’t, I found myself talking with my guides and learning from them that Reiki is meant to be simple. As others have said, it is our intent that is important. I do a lot of distant healing, not just with people but with animals as well. Now I don’t spend very long sending distant healing but I know it will go to the right recipient and will do the healing needed. It is a joy and a blessing this way! Thank you Taggart for your thoughts and advice!